I have several goals for Footprints of Inspiration that all boil down to you, my friend. 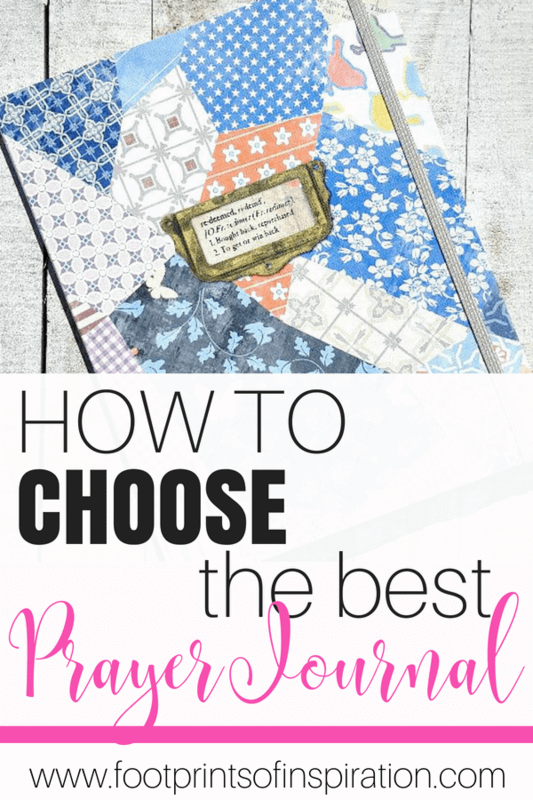 And one of those goals is to get you using a prayer journal, so I’ve put together a guide on how to choose the best prayer journal. This is a sponsored post, however, all opinions are my own. For more information, read our disclaimers here. Only until we can accept that and start enjoying life, despite what we’re going through will we truly begin to thrive. We’ll begin to find a peace that can only come from Him. And this is what I’ve been able to find in my deepening walk with Jesus. Through daily devotional and my prayer journal. 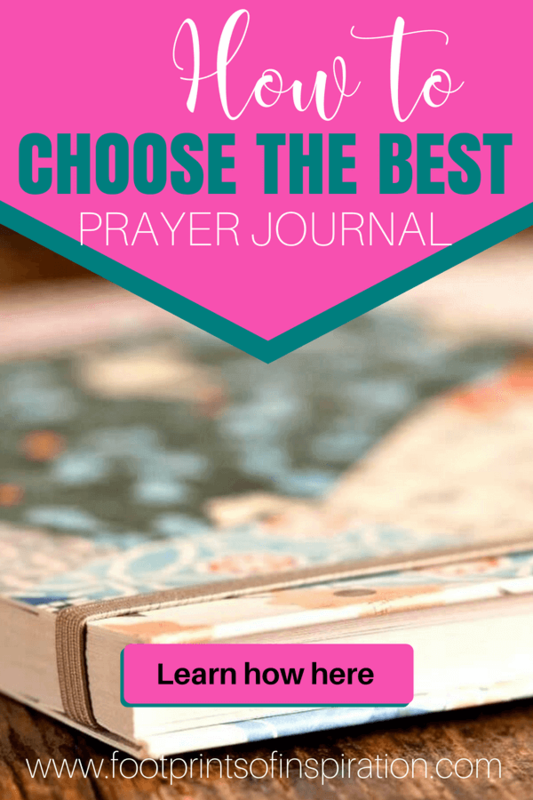 How can a prayer journal help you? It’s another tool for learning the discipline of going to Jesus and spending one on one time with Him every day. Starting your day in His word, and learning what He has to teach you, completely changes your perspective and the ability to live above your circumstances. There’s nothing like writing down your feelings, your cares, your struggles. Jesus can take it. He already knows what you’re feeling, so you don’t have to sugar coat anything. In fact, He doesn’t want you to. He loves you unconditionally, no matter what your cares and frustrations are. By putting your feelings out there to Him, your relationship begins to grow stronger. Your relationship strengthens and before you know it, you’ll begin to see that you need Him more than you need air to breathe. As you continue through your day, you’ll learn to go to Jesus for help, instead of trying to deal with your frustrations and struggles on your own. I mean, after all, the One who raised Jesus from the dead surely has the power to get you through your difficulties. You’ll begin to see life from His perspective and let me tell you, my friend, it is so much brighter than we can see down here in the trenches. **I understand you’re an extremely busy person, and Jesus knows that. 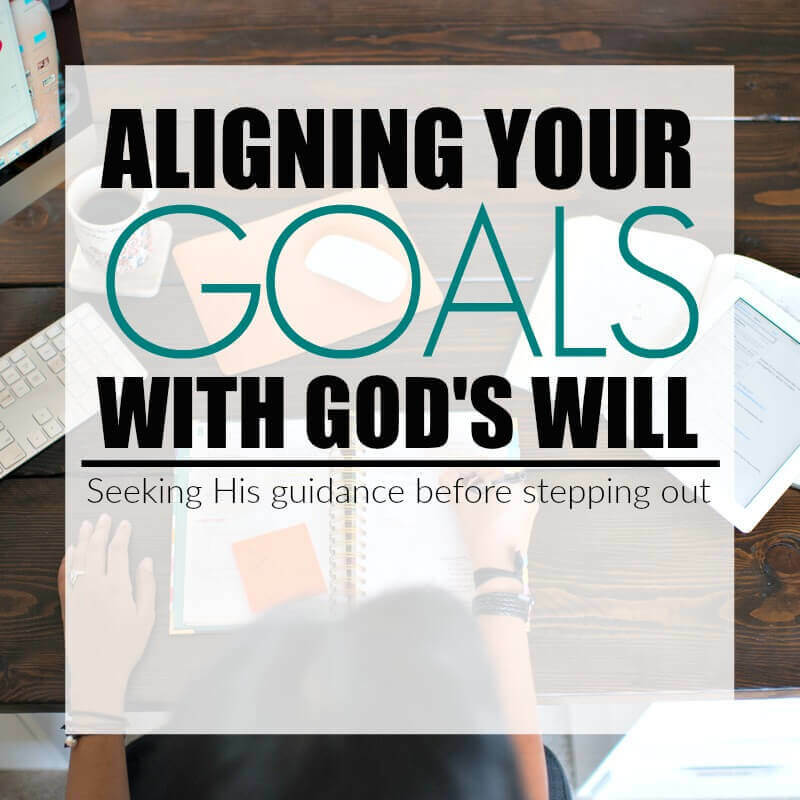 There are a lot of ways for you to begin spending time with Him in your busy day. 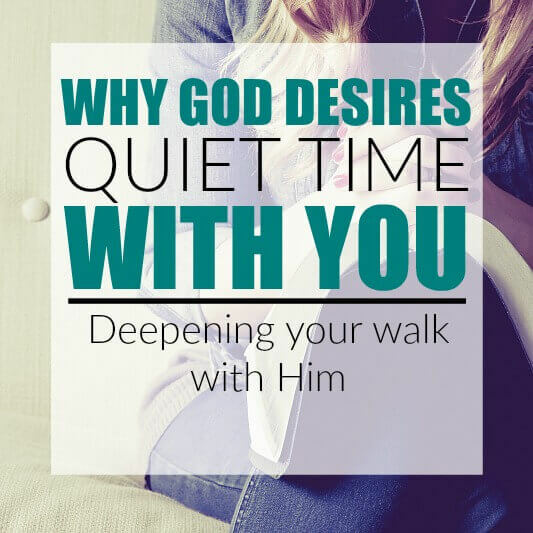 Head over to 5 Ways to Spend Quiet Time With God for some inspiration to help you. Remember…..it doesn’t have to be anything fancy. Heck, pick up a used notebook laying around the house if that’s all you have access to. It truly doesn’t matter what you use, just that you’re using one! Now having said that, since I’ve been journaling for several years now, I’ve found a few things that I prefer in a prayer journal. The right size for your taste. When I first started using a prayer journal, I used the smaller sizes, about 6 x 8.25. I really liked this size, until recently, when I was asked to review The Redeemed Christian Journal from DaySpring. It’s 7.5 x 10, and now I’m hooked on the larger size and probably won’t ever go back. Not spiral bound. I thought I’d like spiral bound journals, however, when I’m writing on the left side of the page, I tend to not use the entire page because my hand runs into the binding. Though this definitely not a deal breaker for me, I prefer a non-spiral bound journal. The weight of the paper. When you have thin paper and are writing on both sides, it does tend to show through. Also, when you’re combing through your pages to refer back to something important, the pages will tear easily if they aren’t thicker in weight. Sturdy cover. 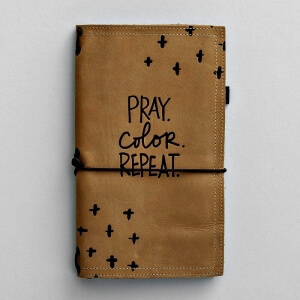 When choosing a prayer journal, I prefer one with a sturdy cover. I take my journal with me everywhere and sometimes I’m not sitting at a desk, so if the covers aren’t sturdy, it’s a little more difficult to write in. Until about a month ago, I was using The Illustrated Faith Refillable Leather Traveler’s Journal from DaySpring. I love the look of it, and the idea of changing out the journal pages. However, due to what I discussed above, I didn’t care for the size (it’s even smaller than what I’ve used in the past) and the covers aren’t sturdy since they are made of leather. Although I think it’s adorable, and see why it would appeal to some, it just wasn’t the journal for me. So when I was asked by DaySpring to give The Redeemed Christian Journal a try in exchange for an honest review, I was giddy with excitement! 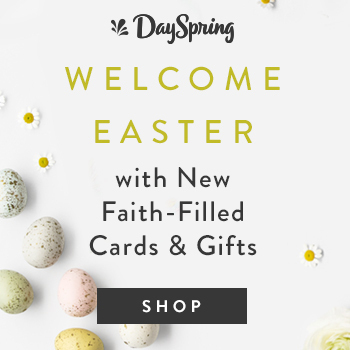 I was more than ready for a new prayer journal and DaySpring is my absolute favorite online Christian store! When I opened the box, I was surprised by the size. (Clearly, I didn’t read the write-up on it, or I would have known.) As I stated earlier, I was used to the smaller size journals and this is 7 1/2 x 10. But let me tell you, I’m hooked! The size is perfect, and it’s not spiral bound, so that’s two checks marks in the positive column! You’re probably going to find this a little crazy, but I’ve been wracking my brain over the last couple weeks to come up with something negative about the journal. I mean, there’s almost always at least one thing that we don’t care for, but my friend, I’ve got nothing! My prayer for you is that you begin using a prayer journal and start devoting quiet time with Jesus every single day. And as I stated earlier, it truly doesn’t matter what you use, just pick something up and start writing! 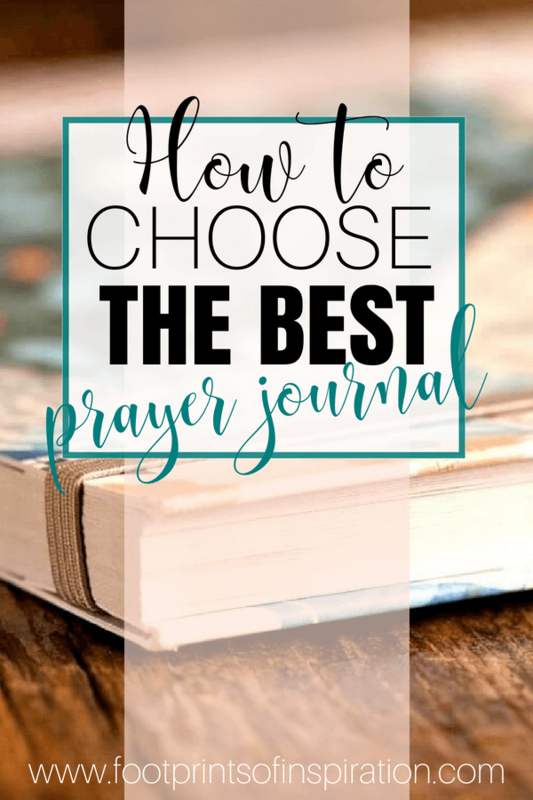 However, if you’re ready to purchase a journal dedicated to your prayers, take the list that I’ve put together and use it to guide you! My favorite by far is The Redeemed Christian Journal. 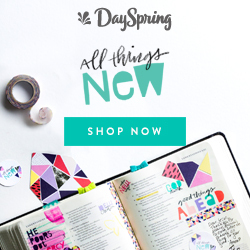 But before you buy, check out DaySpring’s large supply of journals and see what one best suits your needs! Oh! If you have a cutting machine, you’ll want to sign-up for my free monthly prayer journal stickers! You’ll receive an SVG cut file delivered right to your inbox every month! You can sign-up here! 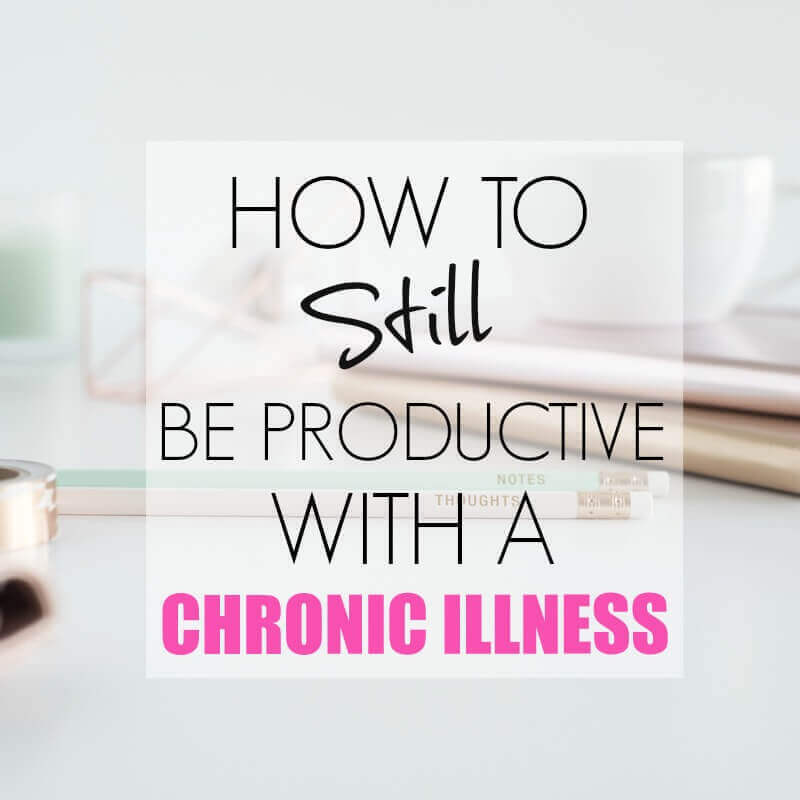 Thanks so much for taking time to stop by the blog today! While you’re here, take a look around and say hello before you leave! P.S. Don’t miss a single post! Sign-up for my newsletter below and have them delivered right to your inbox. This post is a sponsored post with affiliate links, however, all opinions are my own. My first priority is always to you, my reader, so I will never recommend something that I don’t believe in. By purchasing something through these links, your price does not change, however, I may receive a small commission for it. I have been doing a personal Study Thru The Bible (Gen to Rev) since 12/27/17. I stumbled upon the Redeemed Notebook Journal by Dayspring at Ross. I purchased it and loved that it had the index; perfect for a table of contents. I also liked that although big (9.5 x 7) it was great for my research and the lined pages were perfect. Well, I knew I would need several of these so I went to Dayspring last summer and ordered 5 journals. I was thrilled to discover they were 50% off. Well, I am half-way through journal 3 (3 left) and I am just now beginning my study in Amos. I am VERY OCD and have been labeling these into volumes. 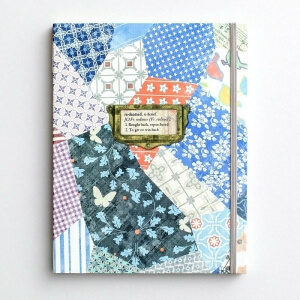 I was afraid I would run out before I completed my series so I went back to Dayspring and they have discontinued this journal and this style. I have done an exhaustive Google search and cannot find anyone selling this journal or anything comparable to it. Your post was my last chance…beautiful blog by the way and glad to see you highlighted the Redeemed Notebook Journal but it is no longer available. In reference to your blog: I was struggling to find focus in my prayer life. I would dive into my Bible study for hours at a time and then sort of rush through my prayer time. Some days my prayer time is so beautiful but I felt I needed a way to organize my thoughts, whom I was praying for, etc. I found the Praying Through The Scriptures (A Woman’s Journal) on Amazon and the journal is designed with the following categories (Adoration, Confession, Thanksgiving, Children, Marriages, Finances & Stewardship, The Church, Nations & Leaders, Missionaries, The Lost, The Sick, Weary & Discouraged, The Oppressed & Enslaved, Wisdom, Daily Walk, and Gratitude & Joy). There are lines below each for you to write your people/requests and there are acronyms at the bottom of each category to help you learn a memory verse (15 weekly or biweekly) and a blank page for journaling between each section. The author suggests you either start a new session weekly or biweekly depending on if you want to complete the book in 6 or 12-months. I have been doing it biweekly and have found this to give me more structure. The book was only about $13 so that’s not bad considering I won’t need another one until 2020. Also, it comes in KJV (my choice) or NIV depending on which translation you want to commit to memory. Hi Gwendolynn! Thank you so much for taking the time to reach out. I haven’t seen that journal yet, but am going to head over to Amazon and check it out now. Thank you for the information. 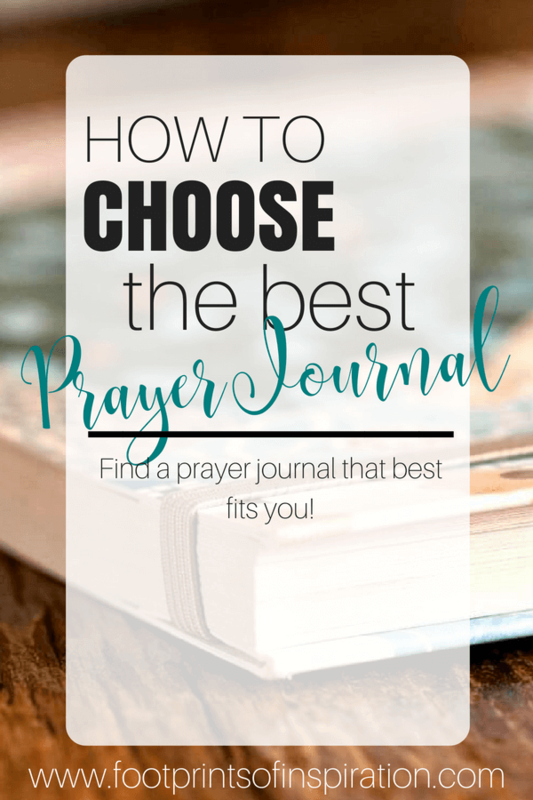 I’m always looking for new devotionals and prayer journals.